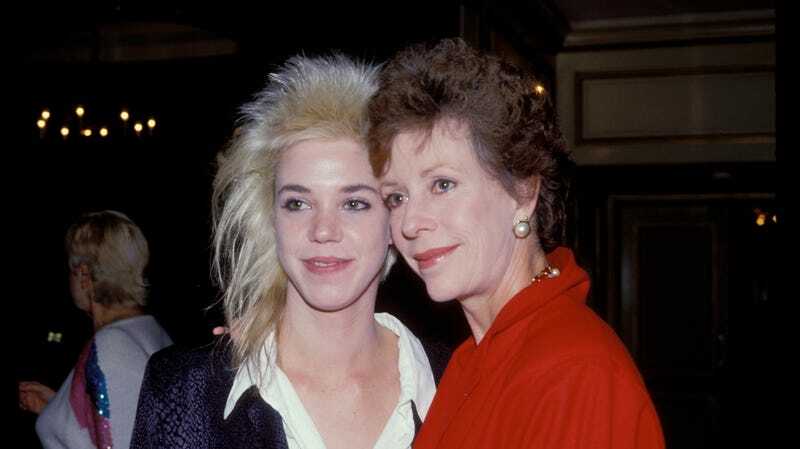 In 2013, Carol Burnett published a memoir called Carrie And Me: A Mother-Daughter Love Story that was dedicated to her daughter, Carrie Hamilton, who died of cancer in 2002 when she was 38. Hamilton struggled with drug addiction as a teenager, which the typically private Burnett decided to address publicly in order to help other families going through similar things, and before her death Hamilton aspired to transition from acting to writing. Now, according to Deadline, Focus Features is developing a movie adaptation of Carrie And Me, with Burnett and Tina Fey among the producers. Small Town Crime’s Ian and Eshom Nelms will be writing the screenplay, but there’s no director or actors on board yet. The movie, presumably, will be as much of a biopic about Burnett herself as it will be about the relationship between her and her daughter, since that seems like a natural hook. Now we just have to wait and see who could possibly play Carol Burnett in a movie that is at least partially about her life.